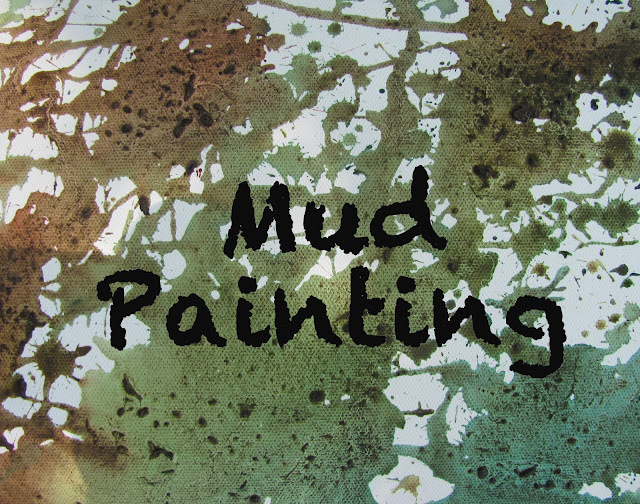 We created Colorful Mud Paintings for our New Mud Bakery and Cafe. All Cafes need a little art on the wall or in the trees. (since we have no walls) C thought it was a great idea....it didn't take much to convince this sometimes stubborn almost 6 year old to make some mud paintings again. Keep reading to find out how we created our paintings. To create our mud paint (this is not an exact recipe) we put some mud, water, and food color in plastic cups and mixed it all up. Then, we began painting....my daughter loved this. If I brought out regular paint she wouldn't have been as interested, but when you change things up a bit.....success! Are whole array of Colorful Mud Paintings for our Mud Bakery. 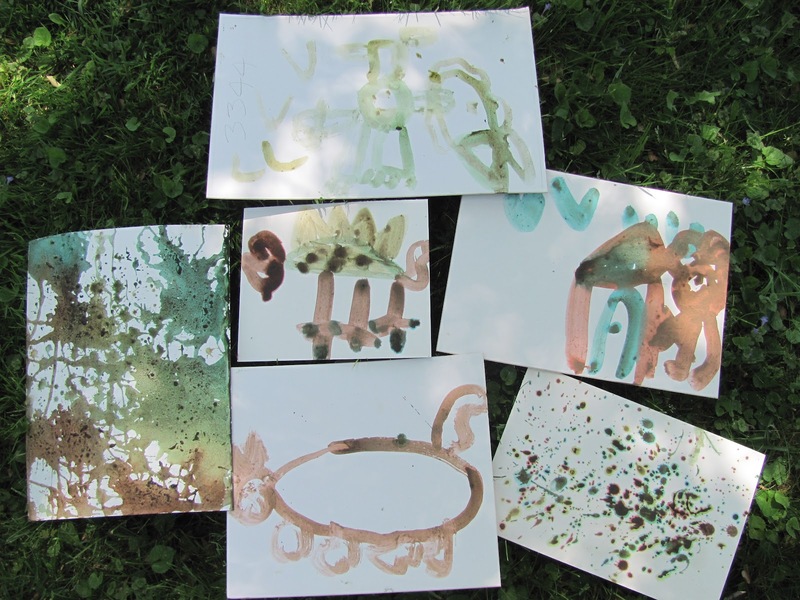 I even made some mud paintings in my sketchbook for TInkerlab's DPS Challenge. Find out more about the challenge here. You can check out more Mud Painting here from last year. 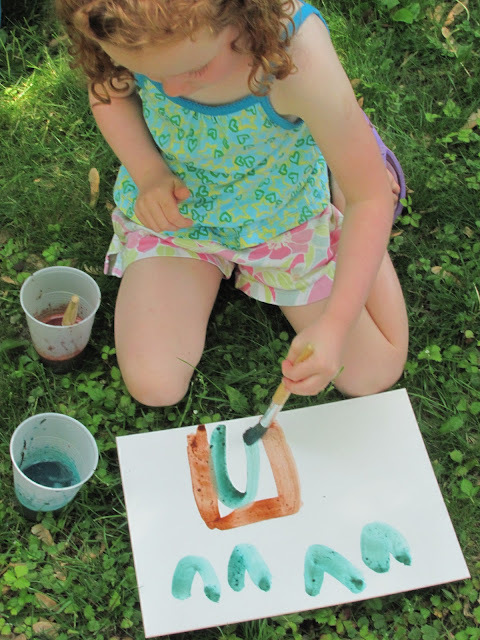 Mud is a favorite outside material for us, so painting I bet painting with mud will go over well. Yes it would! Your daughter will love it! Sorry my previous comment had an error. I like this idea!!! I will add glue to your 'recipe' and see what happens. I have been looking for different mediums to create art with my students. Thanks for sharing! Thanks Amelia. Let me know what happens with glue? We love mud painting and we'll be probably be doing it again soon. Great idea, I am going to set this up for my kids the next time we play in our mud garden. Thanks Ali. Your kids will love it! One of my favorite projects. thanks for the great pictures! 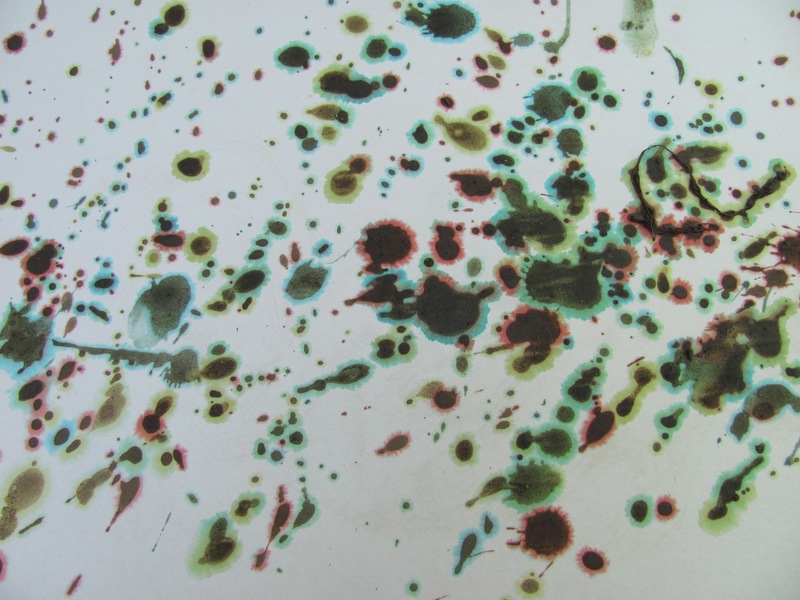 Yes, you are right MAK.....one of your surprising art materials was mud! My daughter, Sophia, is an aspiring artist who loves nature and abstract art...I can't wait to share this idea with her! This is my favorite activity! We will try this soon! Brilliant!!! My kids would no doubt love this too. And of course I love that you turned this into a DPS challenge project. You're awesome.